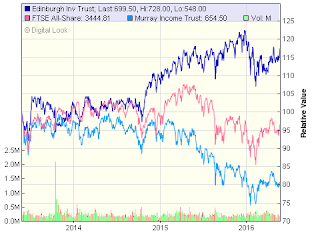 Edinburgh is one of the largest investment trusts on the market with assets of over £1.5bn. It is managed by Mark Barnett who took over from Neil Woodford in 2014. The trust holds just over 53% FTSE 100 companies, 23.5% second tier FTSE 250 and 15% of the portfolio comprise overseas listed holdings including Swiss Pharma, Roche and US tobacco firms Reynolds and Altria. This is probably not one for ethical investors - 4 of the top 10 holdings are tobacco companies and together account for just over 20% of the portfolio. Edinburgh has been one of the cornerstones of my income portfolio held in both Sipp drawdown and ISA for some years. The sum of £1,000 invested in 2006 would now be worth £2,612 - the second best performer in the UK equity income sector behind Finsbury Gr. & Income Trust. It has today issued its results for the full year to 31st March 2016 (link via investegate). The Company's net asset value, including reinvested dividends, rose by 4.2% during the year, compared to a fall of -3.9% (total return) for the benchmark FTSE All-Share Index..
Income per share over the year has increased by 7.6% to 26.7p. The board have proposed a final dividend of 8.75p making a total of 24.35p for the full year - an increase of just 2.1% which is a small improvement on the previous year. The excess income has improved dividend reserves which now represent ~135% of dividends paid in the past year. Based on the current price of 697p, the yield is therefore 3.5%. I naturally have no complaints with an overall return some 8% above the FTSE All Share. This is the 2nd full year for Mark Barnett and he is building on the previous years out-performance of 10%. Maybe he is one of the few who can consistently beat the benchmark over the longer periods - time will tell. Not all of my holdings have done so well in recent years. 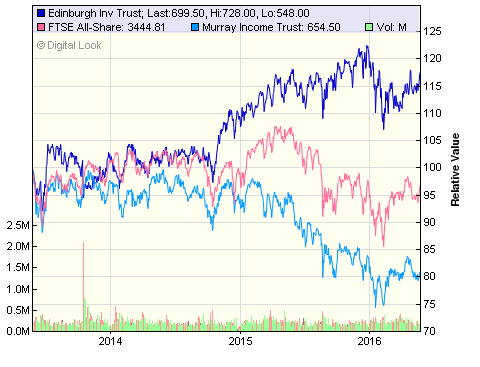 For example Murray Income has underperformed over the past three years. It is difficult to judge in advance which managed funds will do well and which is likely to under-perform. For this reason, I have tended to adopt a basket approach hoping that the combined average returns will give a better outcome than the index. "The collapse in energy prices and the relentless drive of digital technology have entrenched low inflation expectations such that, combined with the factors outlined above; the global economy faces an ongoing lack of pricing power. This in turn has restrained the level of turnover growth in many industries, while any rebound in energy prices or pick up in employment costs may not easily be passed on. The overall implications for the UK stock market, which is highly global in its make-up, are that earnings growth in many sectors may disappoint. Given that valuations are not obviously cheap, overall returns from equities may be expected to be subdued for the time being. The volatility witnessed since the start of 2016, partly caused by nervousness over financial stability in China, is also likely to remain a feature of the investment landscape for the remainder of the year. The Company’s portfolio has changed relatively little in recent months, as the current investments continue to demonstrate the ability to grow earnings and dividends in this challenging environment". TER for the year was a modest 0.59% although there has been a 9% uplift in management charges. All in all, a very pleasing outcome - once again, a significantly better result than the benchmark index combined with a modest increase in the dividend ahead of inflation. I am happy to continue with this trust for the duration. In the past few weeks I have been reviewing some of the original posts in my ‘basics’ section. Asset allocation is one of the most important decisions every investor needs to consider if they are to be successful, so maybe an opportunity to update my blog. It’s really a question of looking at the possible options where investments can be placed and deciding what proportion to put in each one. The usual classes of asset are equities, government bonds (gilts), corporate bonds and fixed interest securities, commodities such as gold and silver, property and finally, cash. Furthermore, equities can be divided into several sub-categories - large cap., mid cap and smaller companies, emerging markets, UK based or global. 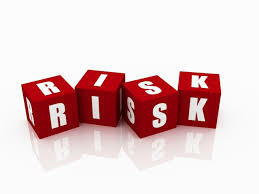 Diversification by asset class and geography is one of the best forms of risk management. As can be seen from Ben Carlson’s asset ‘quilt’, the fortunes of the various assets vary from year to year and it is impossible to determine which will do well in advance. Therefore, holding a diverse mix in your allocation strategy means you capture an average from all parts of the spectrum. A good asset allocation is not so much about maximising returns, but more about building a robust boat that will ride out the stormy waters and get you from A to B. When first starting out on the investing journey, I believe one of the least understood aspects is probably the need for every investor to understand their unique emotional make up and ability to withstand the volatility of the markets and then to match this to the most appropriate allocation of assets taking into account time horizon. Successful investing is all about the long term so it is vitally important to ‘stay in the game’ for many years. It is therefore important at the start of the process to find an investment process and strategy that meshes well with your personality and temperament. This is where asset allocation comes into play. Some assets such as equities and commodities are far more volatile than other more stable assets such as government bonds (gilts). Investors who invest 100% in equities are likely to get the higher returns over the longer periods BUT are more likely to throw in the towel when their portfolio loses 20% of its value in the blink of an eye…and go on to lose a further 25% over the following year. In 2003, I came very close to giving up on my investing. My stellar gains from the dotcom period leading up to March 2000 were quickly eroded as the markets fell over the following 3 years. 2001 saw the 9/11 attack on the World Trade Centre, the All Share index fell 15% and the technology index fell by over 40%. This was the worst period for equities since the falls of 1973/74 when there was the oil crisis, coal miners taking on the Heath government and the ensuing 3-day week. The following year, the All Share index fell a further 25%! With hindsight it was clear I should have sold my investments in early 2000 and repurchased in 2003 but timing these events is almost impossible to achieve. It was probably during this period when I was predominantly invested in equities, that I began to understand the importance of a sensible allocation of assets. It will therefore be a good idea to have a robust strategy which takes into account our emotional traits and behavioural biases. The journey needs to be planned using a number of sound stepping stones and the first of these will be some attention to asset allocation. Selecting a plan which contains a sensible mix of equities, bonds and possibly property and then being confident this mix can continue through periods of volatility and market downturns is key to a good outcome longer term. A classic allocation is 60% equities and 40% bonds. I am now in my early 60s and have been retired for several years and, as it happens, this is my current allocation. There is probably no such thing as a perfect asset allocation - each person should decide on the best mix, and of course, the mix between different classes of asset can, and probably should, vary over time. As you get older, the time horizon will obviously shorten so many will be looking to reduce equity and increase bonds. One rule of thumb is to hold the same percentage of bonds as your age - so at age 30 years, it would be 70% equities and 30% bonds. At age 60 years, 40% equities and 60% bonds etc. Tim Hale, author of “Smarter Investing” suggests 4% in equities for each year you intend to be investing - the remainder in bonds. I would go along with this suggestion but maybe for those of a more cautious disposition who require a more conservative allocation, reduce it to 2.5% or 3% for each year. Another popular choice is the Harry Browne Permanent Portfolio allocation - 25% equities, 25% gilts, 25% gold and 25% cash. The portfolio is rebalanced once per year to restore any imbalance that has arisen as one asset class does better than another. Personally, I’m not a big fan of gold, but I can understand why some people will hold a significant percentage in their portfolio as a hedge against currency devaluation. Others regard it as the ultimate safe haven in times of extreme uncertainty such as wars. One of the benefits of spreading your investments across a number of different asset classes is the reduction of volatility. If you are invested 100% in equities and there is a sudden downturn in the markets, you could easily lose 20% or 30% of the value of your portfolio in a very short period of time - witness late 2008! In May, the FTSE was 6,300 - 6 months later the index had slumped 40% (2,500 points) to 3,800 by November. However, if your investments are mixed between equities, gilts and other fixed interest securities, it is more likely the loss will be more like10% or 15% which should make it a little easier to ride out the storm. Whatever allocation you may decide is right for your investment approach, the main point is that you have addressed the issue. Also, I wouldn’t get too bogged down with 2% or 3% in this class and 4% in another - a broad brush is going to do the job and will be easier to manage and rebalance. Many private investors start off with good intentions, but get sidetracked by the latest trend - with me it was technology shares in the late 1990s - but it could be smaller companies, emerging markets, commodities and so on, ending up with a dogs dinner of a portfolio. First of all, it will to some extent depend on your timeframe - the longer the period, the more sense it will make to have a larger percentage of equities in the mix. Some people are not very good at assessing the probability of a good outcome - they have unrealistic expectations of what they want to achieve for their level of risk and/or competence. They are sucked in by media stories or discussion boards - time and time again, we read about small investors piling into equities when the markets are near the top and just as quickly become disillusioned when the markets pull back as they always do. 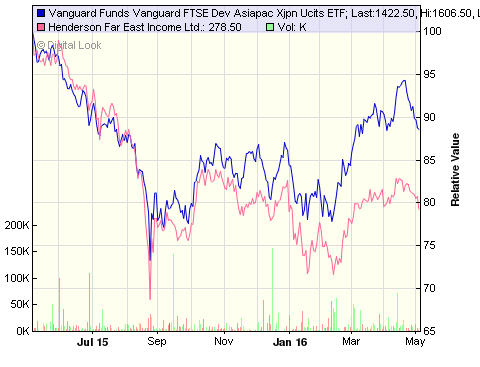 Vanguard provide a useful online tool based on returns for the FTSE All Share over the past 30 years. You can play around with your preferred mix of equities/bonds (and cash) over various time periods to look at the % annual gains/losses during the period. Obviously the higher percentage of bonds in the mix, the lower the gains/losses - what level of gain would you sacrifice to protect against the downside? 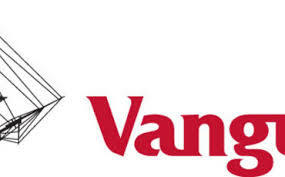 Maybe you can take some guidance from Vanguard’s newly launched Target Retirement Funds. The equity allocation for younger people is 80% to age 43 years which gradually reduces to 50% at age 68 yrs and to 30% at age 75 yrs. Their more conservative analysis starts with 70% equities to age 43 yrs, reduces to 40% by age 67 yrs and then just 20% equities at age 75 yrs. As I say, there are no once-size-fits-all allocation - each will need to settle on their own mix. Of course, when just starting out, its very difficult to know just how you might react to a market correction of 15% or 20%. In his book ‘Investing Demystified’ Lars Kroijer suggests that if investors react badly to market falls, then reduce portfolio equity exposure by 10% - keep doing this until you feel comfortable. If I were in my 20s or 30s, I could well decide to choose 100% equities, after all, they are the most likely to provide the best return over the longer period. This is asset allocation - its just that I have chosen to allocate 100% to equities. The ride is likely to be volatile but may be OK for those with a strong constitution who are prepared for many ups and downs along the investing journey. Obviously there will be no need to rebalance. Say I choose a portfolio of 50% global equities and 50% UK gilts - and say at the end of the year equities have done very well and have increased to 60 % of the total portfolio value. This would mean the gilts now represent only 40%. The idea of rebalancing is to restore the original balance of 50:50, therefore I sell 10% of my equities and reinvest the proceeds into gilts. The overall value of the portfolio has increased but the original allocation percentages are always restored at regular intervals. I am selling those assets which have appreciated in value, and then buying those that have either lagged or depreciated - it seems a little counterintuitive. If we're in a bull market and equities are going up, you have to sell some equities to buy bonds. It could be very emotionally difficult to do - equities may well continue rising for another year or two - so I need to be disciplined and try to remove that emotion from the process. The only sensible reason to do this is because of the investing principle known as reversion to mean. Whilst many forms of investments, including equities, can trade above or below their long term average - often for surprisingly lengthy periods - in the long term, they always move back in line with that average sooner or later. With an ever increasing choice of low cost trackers - funds and exchange traded funds (ETFs), it is relatively simple to select a range of products to provide you with a fully diversified asset allocation to fit every possible option. There are many providers however Vanguard alone offer many options for both equities and bonds - funds and ETFs. They have UK, Europe, US, Asia, Japan, Emerging Markets, Developed World. They offer many varieties of bonds - UK gilts, inflation-linked gilts and corporate bonds, global bonds, US treasury bonds, Euro bonds to name but a few. However, the more funds you hold in your portfolio, the more complex the process of rebalancing. Some people are very organised and will remember to adjust the balance at the appointed time. Others may set out with good intentions but either forget or cannot bring themselves to sell the equities which have done well in exchange for poorly performing bonds. Personally, I like to keep things simple and this is a big reason I have brought on board the Vanguard LifeStrategy index funds. They hold a blend of all the afore-mentioned equity and bond investments however for me, the big plus of these funds is they automatically rebalance the funds to maintain the desired exposure to equities. Therefore, for example, the LS60 fund will always hold 60% global equities and 40% globally diverse bonds. Investing via the LS range is a simple but effective investing strategy - essentially a choice of selecting the level of allocation between equities and bonds, choose a suitable low cost broker - that’s just about it - job done, go fishin‘! My personal asset allocation is by no means perfect - roughly 60% equities and 40% bonds. I am still too overweight in UK shares and investment trusts but have been attempting to move to a more globally diverse mix with the introduction of the Vanguard LifeStrategy fund and other ETFs. However, it seems to be getting the job done and whilst not perfect, its good enough to ‘keep me in the game’. When all is said and done, the “best” strategy for you is the one that you understand, feel comfortable with and importantly, can stick with in good times and bad. Feel fee to share your own strategies for coping with volatility and asset allocation generally in the comment below. Last June I published my latest book ‘DIY Simple Investing’. My research suggested many ordinary people struggle to get to grips with personal finance - thinking about ISAs, pensions and investing are for many possibly about as much fun as a visit to the dentist. I have come around to thinking that, for the vast majority of would-be investors, all they really need is a very simple, no-frills low cost diy strategy which makes sense, which can be tailored to fit in with a variety of attitudes to risk/market volatility and has every chance of providing a decent outcome. Furthermore, the rule changes on commissions for advisers from 2014 means Joe Public has to pay upfront fees for professional advice and possibly ongoing annual review fees. Many ordinary people either cannot afford these fees or feel they cannot find a trusted adviser or maybe some can just read a few good books and blogs and armed with good information, can go on to do it for themselves - DIY! I had the Vanguard LifeStrategy Fund on my watch list as a possible option for my portfolio as far back as 2013 but as I was mainly investing for income and looking for natural yield, I did not quite appreciate its full potential until early in 2015 when I was researching material for my book. Investing is all about the long term for the best probability of a good result. Investors therefore need a sound strategy which will provide them with every chance of lasting the course or ‘staying in the game’. Having rejected the LS option for at least the previous two years because the yield was too low, I then decided to look at total return. The stats looked OK and I decided to adopt the strategy of taking the ‘income’ I needed from selling units in the fund rather than taking the natural yield which I have done with my shares and investment trusts. A year back, I decided to bring the fund on board for my own portfolio and, at the same time, decided it would be an ideal solution to illustrate a very simple diy strategy for my book. The Vanguard LifeStrategy funds offer a balanced portfolio of globally diversified equities combined with some gilts and corporate bonds. They were introduced in June 2011 and provide investors with a neat solution to match their asset allocation between equities and bonds - from 20 to 100. The number represents the level of equities held in each fund, therefore the LS40 will have 40% equities and 60% bonds; the LS80 will have 80% equities and 20% bonds. The single funds LS20, 40, 60 & 80 will hold a blend of around 17 or so of the Vanguard stand-alone equity and bond funds. Each of these will hold many hundreds of individual stocks or bonds - for example, just 1 of the 17 constituents is the FTSE Developed World (ex UK) fund which alone holds ~2,000 stocks & shares. Therefore, by holding just a single LifeStrategy fund, your portfolio is widely diverse with over 20,000 stocks/bonds from all around the world. The bond element (assuming you do not want the 100% equity) will comprise a combination of UK gilts, global bonds, corporate bonds and inflation-linked gilts. The equities element includes their UK all share tracker, global funds and some exposure to emerging markets. The LS 100 fund obviously holds no bonds and is made up of 10 of the underlying equity funds & ETFs. The big advantage for me is the auto rebalance to ensure the fund always remains at the risk level selected at the start - in my case with VLS60, 60% equities. I understand the fund is frequently rebalanced - possibly daily. The bonus from this has been estimated at up to 0.5% p.a. which would more than cover the ongoing charges and platform costs. So, how has the fund performed? I made my initial purchase in my new ISA with Halifax Share Dealing in May 2015 and topped up later in the year as the markets retreated. My average purchase price was £136.50. The current price one year on is £142.15 so a gain of 4.1%. By comparison, the total return for the FTSE All Share over the past year is -7.2% so the combination of 40% bonds and a wider exposure to global equities in the VLS fund has worked very well. The returns for my own portfolio are 2012 15.5%, 2013 13.3%, 2014 5.4% and 2015 2.7% and year to-date is ~3.2%. The natural yield on the fund is ~1.4% however I really need an income from my investments of around 4%. I have purchased the accumulation version of the fund with the intention of selling off some units each year to provide the 'income' I require. As can be seen above, selling off 4% would work in 3 out of 4 years. For periods when returns are negative, I hold a cash buffer of 10% of the fund value in my building society a/c however I am pleased that in my first year of trying out this new approach, my requirements for income are just about covered by the fund growth of 4.0% therefore the cash buffer (+ interest for the year) can remain untouched. The appeal of the VLS strategy is its simplicity combined with good performance compared to other strategies. It seems to me that putting together a DIY investment portfolio does not come much simpler than this. You decide on your asset allocation, select your broker, invest your lump sum and/or set up your automated monthly direct debit - job done, get on with your life! The only minor reservation I have is the equity allocation of 25% to the UK is a little high and I would prefer a lower figure of say 15%. Otherwise I am more than happy with returns for my first year and will be topping up my ISA holding in the next few weeks. Leave a comment below if you hold VLS or have any thoughts generally. It is 3 years since my first post on this and there have been quite a few developments so I will try to bring things a little more up todate. When I first started investing in the late 1980s, there was no internet and the buying and selling of investments was done by post or telephone with either a traditional stockbroker or for trusts and funds via the provider. Today, most diy investors will invest online with an execution-only discount broker. I first registered online with Interactive Investor in 2000 - I moved over to AJ Bell Youinvest (formerly Sippdeal) in 2012 when ii set up its own platform and then introduced its £20 quarterly charges. More recently I have set up a new ISA account for my Vanguard LS funds with Halifax Share Dealing as the annual flat fee of £12.50 works out cheaper than the 0.25% fee on these funds with Youinvest. With online brokers, your investments are held in a nominee account which means you will not receive a share certificate so there is no ‘paperwork’ to attend to. The online execution-only broker is not legally permitted to offer advice to its customers. A. Will you be investing using mainly funds or with shares, investment trusts and exchange traded funds (ETFs)? Some brokers such as my broker AJ Bell charge a percentage fee - currently 0.20% (0.25% from 1/10 2016) - for holding funds. Others brokers do not charge a fee for holding funds so it will be useful if you are clear from the outset. All brokers will charge a transaction fee for buying & selling shares, investment trusts and ETFs - typically around £10. Some charge for buying/selling funds also but several make no transaction charge for funds. B. What is the value of your portfolio? Online brokers mainly divide into two categories, those that charge a percentage platform fee based on the value of your investments and those that charge a fixed annual/quarterly fee regardless of how much is held with them. As a rough rule of thumb, if your portfolio is greater than £30,000 then it will probably work out cheaper to look at the fixed fee providers and for less than £30,000 the percentage fee will probably be better. 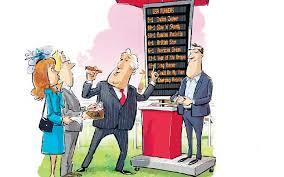 C. Will it be a lump sum investment or are you drip feeding via regular monthly direct debit? If you will be drip-feeding your money into the investments over a prolonged period, it will make sense to choose a broker who can offer low cost options. As we have already seen above, some brokers make no transaction charge for the purchase of funds. 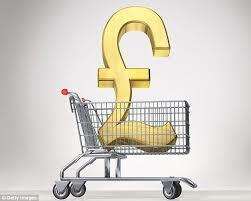 Many offer a regular investment discount - maybe £1.50 or £2.00 for the regular purchase of investments. It will be important to have a clear picture of both the platform charges and the cost of buying/selling the investments as well as the cost of the investments themselves. For example, it may cost more initially for a one-off purchase of an investment but there may be no ongoing platform costs or fund charges if holding individual shares. Low cost index funds are becoming more popular with small investors. The ongoing charges for some are less than 0.10% p.a which is incredibly good value but this can be negated by holding them in with a higher charging platform. An extra 0.20% in broker charges may not seem much but on an typical portfolio of around £25,000 it will be an extra £50 every year. Once you are fairly clear on these 4 points it should be easier to narrow down the best choices for the most suitable broker. Cost is important but it may not be the only consideration. 1. Does the broker offer the type of investment you wish to hold in your portfolio? Seems fairly obvious but some brokers will offer only a limited range of investment trusts etc. 2. What range of analysis tools are offered? It can be an advantage to view your portfolio online and also to maintain a ‘watchlist portfolio’ of investments you may wish to follow and analyse for the future. You may wish to filter shares for things like size, dividend yield, cover etc. 3. If you are likely to hold investments which produce an income such as the dividends from shares and/or investment trusts, check the situation regarding re-investing of dividends - is there a facility for this to be done automatically and if so, is there a charge? 4. Check if there are additional charges for telephone trades - with my former broker, interactive investor, the fee was £10 for both online and telephone trades. 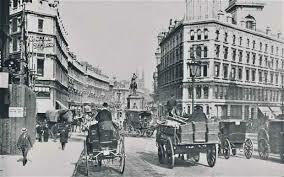 With my broker AJ Bell, its an extra £20 for telephone trades. 5. Check the level of exit fees in the event you wish to move to another broker. Typical fees are usually based on whether you wish to transfer your portfolio over without having to sell and then repurchase with the new broker and will be around £20 - £30 per line of stock. Obviously, if you hold many different investments, it could be very expensive to transfer out. 6. Is it likely you will want to hold overseas listed investments? If so, make sure this option is available and check out any additional costs. There is therefore no single one-size-fits-all best broker, the best one for any individual will be the one that ticks the most boxes according to that individuals specific situation and requirements. Monevator has painstakingly created a comparison table covering most of the popular discount brokers and fund platforms. The table is mainly aimed at diy investors seeking a passive approach to running a portfolio using mainly index funds and ETFs. Compare Fund Platforms is a spin-off from Candid Money run by Justin Modray. 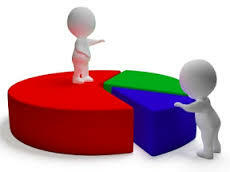 You select the type of investments you wish to compare or may be interested in purchasing, confirm a few assumptions on period of investment and rate of growth (include the option of also holding shares and/or investment trusts also) and instantly see which broker currently offers the lowest cost. Also Snowman's comparison via Money Saving Expert forum. Of course, you are not limited to just one broker for all investments. You could use one for your sipp and a different one for your ISA or non-isa trading account. You could use one for low cost trackers as I have done for my Vanguard funds and a different one for shares and investment trusts. If using more than one broker, just be aware that with ISAs, you can only fund a single broker with your allowance for any one tax year - it cannot be split between two brokers in the same year. Some Brokers to Research - info believed to be correct at time of posting but please cross check! Dealing - £12.50 funds and shares etc. Dealing - £5 funds and shares etc. This trust is not the highest yielder but is the top UK Income Trust in its sector in terms of net asset value and share price performance over five and ten years, its returns far outstripping those of the FTSE All-Share index. The sum of £1,000 invested 10 years ago would now be worth £2,689 compared to one of my higher yielding trusts (5.4% currently), Dunedin Income Growth which returned just £1,424 over the same period. Train took over management of the trust in 2000 when assets were valued at £64m - net assets today have increased over tenfold to £780m. His approach is based on that of Warren Buffett’s and involves building a concentrated portfolio of “quality” companies that have strong brands and/or powerful market franchises. He holds shares for the long term regardless of short-term volatility, aiming for them to double or more in value over time. This results in extremely low portfolio turnover, over the past 15 years average turnover has been under 6% p.a. Top five portfolio holdings are: Unilever 10.1%, Relx 9.5%, Diageo 8.5%, Sage Group 6.8% and Heineken 6.5%. The trust has recently announced results for the half year to end March 2016 (link via Investegate). 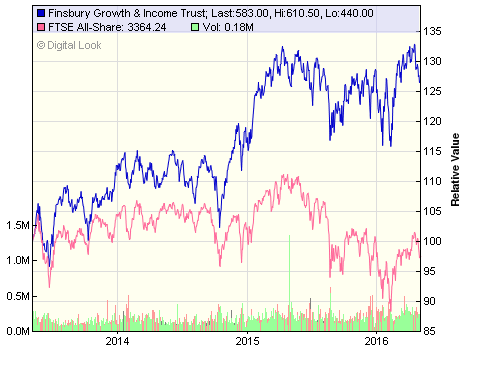 Share price total return is 9.9% compared to 3.5% return for the FTSE All Share. I think it reasonable, if mildly embarrassing, to claim that I have only had three investment ideas for the Company in a decade and a half. And because those three strategic ideas make up the whole portfolio and remain critical for future performance I review them here. “If a company’s products taste good: buy the shares”. For a long-term investor this simple proposition has proven remarkably successful. Owning shares in great tasting brands – IRN-BRU, Cadbury or, my own favourite, Marmite – has been a great way to get rich slowly. Diageo has been a dull share for several years now, understandably given an array of pesky and continuing setbacks. But surely over the next 20 years people will continue to enjoy Johnnie Walker, Captain Morgan, Baileys, Guinness and its many more iconic brands? That predictability – in a world shareholders will agree is highly unpredictable – is unusual and valuable. “People will never be bored of being informed or entertained”. We like companies that own proprietary business information – the sort without which professionals cannot do their jobs – or beloved entertainment formats. For example scientists and lawyers around the world have little option but to subscribe to Relx’s services or risk being ill-informed. Similarly we’re fascinated by the reach of MailOnline, owned by Daily Mail of course. It is currently receiving 220 million global unique browsers every month and is one of the UK’s few world-leading Internet properties. The trust has declared a first interim dividend of 6.1p (2015 5.5p), an increase of 10.9%. This substantial increase is designed to reduce the disparity between the interim and final dividends. I have pencilled in an estimated final dividend of 6.6p for later in the year which would give a forward yield of 2.2%. I have been leaning more towards passive index funds over the past year or so, however Train is possibly one of a handful of managers worth paying a little extra to look after a modest portion ~3.5% of my investments. Of course, such a concentrated strategy is not without risk. Around two thirds of the trust's portfolio is focused on consumer-related shares and whilst these have out performed in recent times, there is always the prospect of reversion to mean at some point in the cycle. For the time being however, I am happy to remain a holder, particularly having recently sold my individual shares in Unilever. As always, be sure to DYOR if thinking of acquiring the trust for your own portfolio. I am just back from a very relaxing holiday in Snowdonia National Park, certainly a good area to get away from it all. No wi-fi, no internet, no newspapers and no market info - a week of walking (weather permitting), eating and doing not very much at all, just what the doctor ordered. We rented a very comfortable cottage on a small working farm in Llanfair near Harlech - thanks again to Helen for her warm welcome, delicious sponge cake and providing everything needed for a great holiday - sadly all too short but I hope to return to explore the very imposing surroundings a little more later in the year. Batteries recharged and on with the blog! This time last year I purchased this Asia-focussed ETF as a lower cost alternative to replace 3 of my income investment trusts - Aberdeen Asian Income, Henderson Far East and Schroder Oriental. Ongoing charges for these trusts were 1.25%, 1.21% and 1.34% respectively - an average of 1.26% compared to 0.22% for VAPX. The trusts all provide a reasonable income yield, but at the back of my mind, I was wondering whether the higher yield came at the expense of overall performance. The Vanguard Developed Asia Pacific ETF (VAPX) has given me exposure to roughly the same markets as the investment trusts. The principal areas of investment focus are Australasia (45%), S. Korea (25%), Hong Kong (22%) and Singapore (8%). These markets have not fared well over the past year due mainly to the well documented slowdown in China. The ETF shares were purchased for £15.80 just 12 months ago and the current price is £14.20, so my ETF shares are currently down 10.1%. In addition, I have received a total of 46.7p in dividends. Total return therefore including income for the year is -7.2%. This Vanguard ETF has only been running for 2 years however the cumulative return for the index over the past 10 yrs is 70.5% - annualised cagr 5.5%. Average total return for the 3 trusts over the past year is -11.0%. If the trusts I still hold are any guide, most of the underperformance will be due to a widening of the share price discount to NAV. The current yield on my Vanguard ETF is around 3.3% and paid quarterly. As with the Vanguard All World ETF (VHYL) I purchased in 2014, the dividend distribution amount is a little unpredictable which is something I am having to adjust to - I am not sure how much I will receive at the end of each quarter - but a minor inconvenience compared to the saving in charges. With my ISA broker AJ Bell Youinvest there are no platform charges for holding ETFs compared to the 0.20% charge for holding funds. It is therefore a slight advantage to hold ETFs and investment trusts with Youinvest and my index funds such as Vanguard LifeStrategy and Vanguard UK Equity Income with Halifax Share Dealing who charge a flat fee of £12.50 p.a. regardless of the value of investments held. Whilst the ETF may have provided a better total return than my investment trusts over the past 12 months, I am just wondering how it compares to a more globally diverse index fund such as VHYL ETF or even the LifeStrategy 60. For the year to end April the High Yield total return was -6.6% & and the VLS60 total return has been +0.33%. So, the move to the ETF has worked out OK so far and the return is better than the combined investment trusts, just about par with the VHYL and a significant lower return compared to my LS60 which is to be expected given the 40% weighting to bonds. Of course, one year is too brief to evaluate performance but it will be interesting to compare returns over the longer timeframe. a good morning for a walk!